To say that the Indian political leadership was kicking the Women’s Reservation Bill around like a football would be to denigrate the beautiful game that recently sent the sporting world into rapture. Maybe umbrage would also be taken by the commercial community if the term trade-off was used to describe the BJP-Congress sparring over revival of that lapsed legislative initiative. For if Rahul Gandhi’s demand towards the fag end of the NDA’s term to resuscitate the move on the eve of the monsoon session of Parliament suggested a desperate bid to find an issue that might attract nationwide support (have GST, demonetisation and even mob lynching run out of steam? ), Law Minister Ravi Shankar Prasad betrayed lowly thinking when he raised the counter-demand that the Congress support the “Triple Talaq” legislation. And now the head of the Mahila Congress, Sushmita Dev injects her own inexpensive input by claiming her party would vote in favour of the Triple Talaq Bill if it included a clause for alimony. Surely any, or all, of that voluble trio needs to ask themselves if they were not continuing the despicable tokenism that has long denied Indian women their due? Social reform has to have elevated intentions, there is no scope for political bargaining. Unless across-the-board a shameful insincerity underscores the lack of commitment to the cause. No wonder that laws against female infanticide, child marriage, dowry etc have had only marginal impact. It takes real “missionary zeal” (now an offensive term in the saffron lexicon) to translate such moves from the statute book to reality. And none of the trio named earlier have exhibited the requisite sincerity to look beyond political one-upmanship. The Bill on women’s reservation was conceived in haste (was it a surprise sprung upon then prime minister Deve Gowda? ), hence its “passage” has been more protracted than any other legislation in recent memory. Papers have been snatched from a minister’s hand, a reservation-within-reservation move was made, a fragile alliance backed down rather than risk coming unstuck. Finally, the Marshals had to be summoned to the Rajya Sabha to clear obstructionist members. And despite a host of tall-sounding slogans the present government made no moves towards women’s reservation in the legislatures. To recall the details of that story would be to add insult to the injuries continually inflicted upon Indian women, the lip-service equates with sprinkling salt on the wounds. 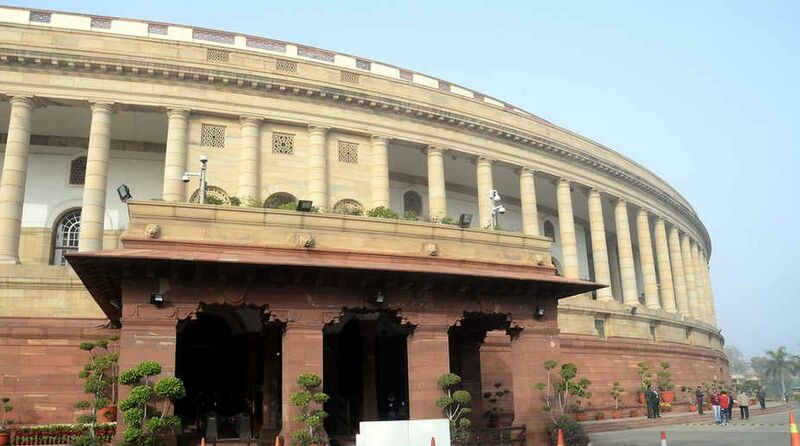 The Opposition parties last week mounted a scathing, if unsuccessful, assault on the Modi government but the Bills supposedly rooted in women’s welfare were scarcely mentioned during the 12-hour deliberations. The sad fact is that Indian women have scant reason to express confidence in the political leadership, they have been given short shrift these past 70 years. And that sick situation is too deeply entrenched in political practice to be remedied by a hypocritical “hug and a wink”.